Winners of Many Sins, and New Contest at Allyson James's Blog! I have contacted the winners--I was feeling generous and decided to pick six winners instead of five. If you did not win, do not despair. I love giving away books. This week's giveaway is over at my Allyson James blog: http://www.allysonjames.blogspot.com/ . The prizes--The Stormwalker trilogy by Allyson James (Stormwalker, Firewalker, Shadow Walker), two Virginia Kantra books (Immortal Sea, Burnining Up), and Allysa Day's June release, Vampire in Atlantis. Lots to read! Hop over and see how to win! In future I'll do more giveaways for Lord Cameron, and for Ian too. I will definitely be celebrating the return of The Madness of Lord Ian! Will Draw a Many Sins of Cam Winner Today! Thanks to you all for the wonderful response to the Many Sins of Lord Cameron ARCs giveaway. Wow! I guess you all want to read it. :-) I will draw and contact five winners this evening (after my talk to Northern AZ Romance Writers), and will post the winners tomorrow. And announce another contest! Many Sins of Lord Cam ARCs! For You! THIS DRAWING ENDED MAY 22. THANK YOU FOR PARTICIPATING! ***I just got a box of ARCs (Advanced Reader Copies) of Many Sins of Lord Cameron. Woo! So I'm prepared to give away FIVE of these guys to FIVE lucky winners. I'm pleased to announce the e-release of Shifter Made, a novella of the Shifters Unbound series for 99 cents! (previously released in The Mammoth Book of Irish Romance.) Shifter Made is a 10K-word novella that tells the story of how the Sword of the Guardian (Sean's sword), came to be. 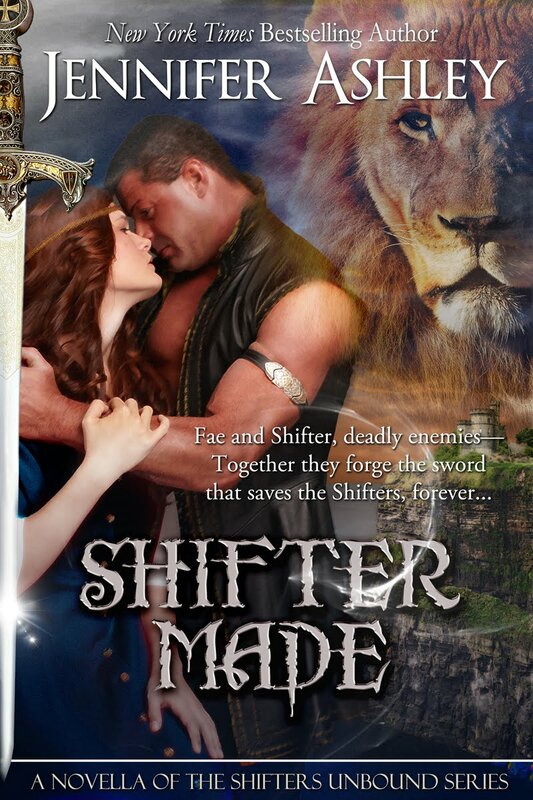 A Shifter and a Fae--hated enemies, but they must work together to protect all Shifters forever. (I am working to get this on Sony, Kobo, iBooks, et al). You can also download this book to apps, including the Stanza app. Also out: Pride Mates!! On e-book for now (print release in July). After months of being unavailable, you can now read Pride Mates (Book 1 of Shifters Unbound) on Kindle, Nook, iBooks, and Sony, Kobo, etc (note: it's taking a while for Sony and Kobo to put them up--keep checking). Very thrilled to be able to make these available!